Defending a juvenile criminal case is entirely different than defending an adult case. There are a variety of unique challenges that come with defending a teenager charged with a crime, and having actual trial experience is the only way to understand what it takes. Benjamin Herbst has represented numerous juveniles in cases ranging in severity from serious felonies such as armed robbery, to misdemeanors such as theft and assault. Benjamin handles cases in Baltimore City and Baltimore County, and is standing by to meet in order to discuss your child’s case. With his main office being in downtown Baltimore, Benjamin is more than willing to travel anywhere in the metropolitan area to meet with you if coming to the office is inconvenient. Juvenile cases in Baltimore County are all heard in the circuit court in Towson. This is the same circuit court where adult cases are heard, but juvenile courtrooms are located in a separate area. In Baltimore City juvenile cases are held at a separate courthouse called the juvenile justice center, located on Gay Street, and close to downtown. All cases are under seal, and cases to not appear by name on courthouse video monitors like adult cases. There are four main steps in all juvenile cases, starting with charges being filed. A juvenile offender can be arrested or served with a summons. 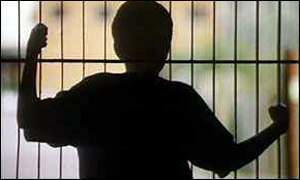 If a child is arrested for committing a crime he or she will be held until being brought for a detention hearing. At this hearing it will be decided if the child is to be released to his or her parent or guardian, or held pending placement. In most cases the child is released to the parents, but in more serious cases the child may be held. It is extremely important to retain a lawyer before the detention hearing to assure the best possible chance of release. Once charges are formally filed, a preliminary hearing or arraignment will be set in the circuit court in order to inform the defendant and the family of the charges. After the defendant receives the petition the state has 60 days to set the case for an adjudicatory hearing. The adjudicatory hearing is another word for trial, and it is on this date where the case will either go to trial or be resolved in some other fashion. Our goal in all juvenile crimes cases is to convince the state to drop all charges, but we also understand that this is never a guarantee. Therefore we prepare each case as if it was going to trial, and we never back down from taking on the state. There is no right to a jury trial in juvenile cases, so in that respect trials are similar to those in district court. The state still has the burden of proof, which is beyond a reasonable doubt. The word guilty is not used in the juvenile setting, and is replaced with the word delinquent. If at the close of the evidence the judge or master does not find evidence supporting a finding of delinquency then the case is closed. If a child is found delinquent he or she will be sentenced at a disposition hearing. Findings of delinquency are not public knowledge, but that does not mean a delinquency can’t permanently hurt your child’s future. The stakes are extremely high in all these cases, which is why it is absolutely necessary to hire the best possible attorney. Contact us today for a free consultation.